Social media does sometimes feel like a dog eat dog world, especially in the world of business. I get it. The competition is high, and you might feel a bit intimidated. As a result, businesses may get a bit overwhelmed where social media is concerned and post content that people just don’t want to see. Is what you’re posting on social media going to win you some points or is it doomed from the get-go? 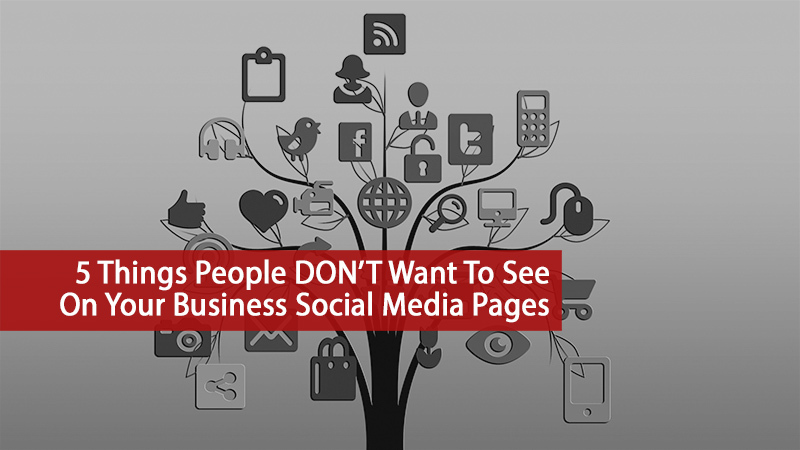 Here are the top five things people don’t want to see on your business social media page. So, what do you do to keep followers interested and business high? A few exaggerations here and there might do the trick, right? Wrong! No one wants to be thought a fool, especially not consumers. Any lies and exaggerations will be found out, and the consequences can be brutal for your business. Lying and exaggerating information on social media can hinder your reputation and affect your brand long-term. Statistics reveal that 71% of consumers who have had a positive social media experience social media are more than likely to recommend the page to others. So provide your followers just that – value, quality information, and purpose. Solution: Honesty is truly the best policy. Apply it. As long as your online content is relevant, your followers will be happy. Your temper is definitely something people don’t want to see on a business social media page. Remember the old saying “the customer is always right”? Well, it’s true. Although clients can sometimes be a bit difficult, and trust me, I know, you should really make this quote your business’ motto. Confrontation on a business social media page is an immediate indicator for unprofessionalism and may very well send followers packing. Well, not literally packing, but I’m sure you get the point. When using social media for business, it is extremely important to remain professional at all times. This includes remaining calm even when someone is brazenly attacking you or your brand. Why is this important? Well, although one person may be attacking you, the number of online spectators who are judging your control over the situation is much higher. And at the end of the day, you want to accommodate the mass, don’t you? Solution: Remain calm at all times and don’t listen to that little voice in your head that’s tempting you to hit back. Your professionalism online reflects on your overall business attitude. If someone else is managing your social media accounts, you should devise a strategy and provide some guidelines about what gets posted on your business profile. No one likes logging into their social media accounts only to be bombarded by the same content EVERY SINGLE TIME they scroll down their newsfeed. Note the caps lock? That’s how your followers feel when they see a post from you every few hours. Your content should be a like a breath of fresh air. If your posts are not of any value to your followers, what’s stopping them from clicking the ‘unfollow’ button? The moral of the story is simple: DON’T spam your online audience. Solution: Filter your social media content to find out what your followers like. Perhaps you can analyze some of your social media data. 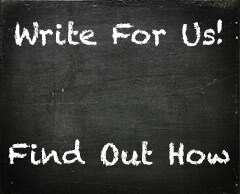 Find out what your followers want to see on your page. Do they enjoy finding about news, discounts, special offers, business events, or something else? If you’re not sure what kind of content you should share on your social media page, chatting to a professional might do your business some good. Okay, so this is the exact opposite to the point made above. Yes, too much content is spam, but posting things once every few months is just as bad. People don’t want to go to your business social media page only to find a blank canvas. Along these lines, when users post something on your wall or comment on a post looking for an answer, you should provide it. Unless you’re looking to drive business away, but I’m sure that’s not the case. Irregular or nonexistent posting patterns can send users various messages, including unprofessionalism or even imply that you’re closed for business. Actually, online users expect to receive a response within an hour. Remember, the more value you add to your page, the more positive exposure you are gaining. Solution: Choose a consistent posting pattern that will work for both your business and your audience. Also, review content so that it adds value to your page. Don’t just post something for the sake of posting. I’m sure you’ve been online long enough to notice there are a lot of grammar Nazis out there. And trust me – you don’t want to mess with these guys. They take their grammar and syntax VERY seriously. In fact, whatever you say can and will be used against you. Nevertheless, even if someone is not a grammar perfectionist, they definitely don’t want to see mistakes all over your page. This indicates carelessness. People expect perfection and nothing less. If you can’t take care of your own social media page, how are you supposed to take care of your clients? So, make sure you get it right. Solution: Always proofread content before you post it. Once it’s online, users will be on it like vultures. Ensure it is mistake-free. The best solution is to get a professional proofreader to give the thumbs up before posting. It might actually be a deal breaker for your business. If you’ve found yourself a culprit of some of the above items, then it might be time to change your online business persona. Make use of some of the offered solutions and expand your business on social media effectively. Do you know anything else people don’t want to see on business social media profiles or have you had an online experience you would like to share? We’d love to hear it! Get in touch with us in the comment section below. Martina Markovska is a writer who writes for Valoso Hub. A writer by day, a reader by night, she specializes in digital marketing and information technology content. You can find her online, passionately sharing her views, or offline curled up on her favorite armchair with a good book. Her inspiration: knowledge is power.